Our friends at luckygunner.com sell quite a bit of PMC ammunition. To allow them to better educate their customers on the PMC brand, they asked us to do an unbiased review on the 124 grain 9mm Starfire ammo. In the name of customer service, Luckygunner.com donated the ammunition for this review. PMC ammunition is manufactured in South Korea by the Pyongyang Corporation (ISO certified) which produces cartridges ranging from small arms ammunition to large howitzer rounds for the S. Korean military. PMC is not a small outfit nor new to the industry. The Pyongyang Corporation dates back to 1968 and since its founding it has grown to become on one of the world's largest manufacturers and suppliers of ammunition. PMC brand is affordable ammunition and is sold throughout the world. I can say from personal experience that we use a fair amount of the PMC full metal jacket loads for target shooting. To date, we have zero problems to report with any caliber we have used. PMC's Starfire ammunition represents PMC's premium line of personal-defense ammunition. The Starfire line features their patented rib-and-flute design which claims expansion up to two times its original diameter and a penetration of 9 to 14 inches. If this holds true, it would seem like an acceptable selection for a standard pressure subsonic 9mm load. We began our tests using our SigPro 9mm with a 3.86" barrel. The accuracy of the ammo was perfectly acceptable. At a defensive range of 15 feet we had no trouble hollowing out the bullseye in our paper. The lack of recoil from this standard pressure load makes double taps a breeze. The ammunition feeds smooth and functions as it should. 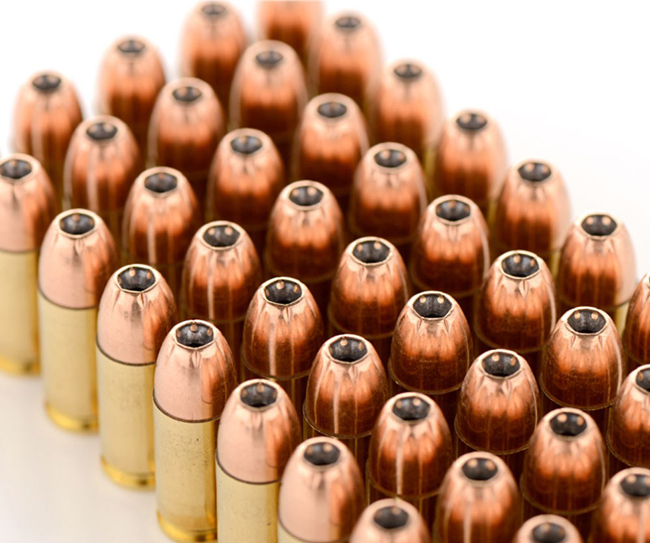 The Starfire ammo, even though affordable, does use brass casings. +1 for the reloaders. Through the Chrony the velocity is slightly lower than the 1090 claimed velocity on the box. Results are below. Penetration = 9 - 12"
Well, what gives? Many companies use larger barrels when they clock their ammunition. It is done because a longer barrel will launch the projectile at greater speeds. The question is, just how long of a barrel did they use? Well... we happen to have a Beretta92A1 that sports a 5" barrel. We decided to run a few more rounds through the Chrony to see if we could achieve the claimed velocity. Well there we have it. Using the 5" barrel our average speed is 1092, so we can say for fact that we are able to achieve the velocity claimed on the box with a standard full-size firearm. Using the compact pistol with a 3.86" barrel the speeds are slower but the bullet still expanded. My concern is whether or not this bullet will reliably expand if the speeds are less than 1000fps. Unfortunately we did not have our LC9 sub compact with us to test this for certain. We may need to run a few more rounds into the jugs at a later date to know for sure. Let's move over to the "table of doom" to see what kind of penetration we can get. You will notice that we no longer use plastic milk jugs. The reason is because the thickness of the plastic varies from each carton, as well the bullet must penetrate it. By using more paper jugs that are narrower, we can get a more accurate read of the penetration. 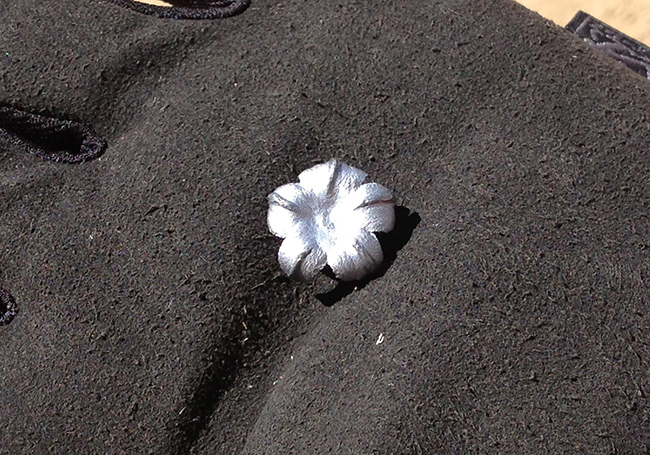 We recovered the bullets and measured the expansion and penetration. These bullets made it into our 3rd water jug giving it less than 12" of penetration in water. That would be approximately 7 inches or so in gelatin. For those keeping score, that is 5 inches short of the FBI recommended 12 inches in gelatin. Expansion was .66 and pretty uniform in all the bullets we recovered. Retained weight was 123.6 grains which means the bullet does an excellent job of staying together. So what's the verdict? It is not the most impressive stuff we have ever tested, but I do think it has its' niche. Of 100 rounds we had no failures to fire and no problem hitting our targets. Yes it did fall short of the FBI recommended penetration, but it some instances that could actually be a good thing. What? Did I just say that? Yes... yes I did. There are many applications where you do not want over penetration because the liability is to great. For example, in and apartment building families live close. Your neighbor could be just on the other side of that thin wall. One would not want a round to pass completely through an assailant and into your neighbors home. In this case a Starfire hollow point could serve quite well. What about Law Enforcement scenario in a highly populated area such as Las Vegas or Sturgis? A bad guy could be shot with several rounds with less risk of innocent casualties. Many frangible rounds (which sell for 4X the cost) tout this same claim to justify the cost of their product. It seems to me that this hollowpoint can achieve the same goal and remain friends with your wallet. Though the pentration may be considered insufficient for FBI use, I am certain that 300ft/lbs of energy dump will demand the attention of an attacker. And if not, politely ask again... several times. do you use pmc ammo?